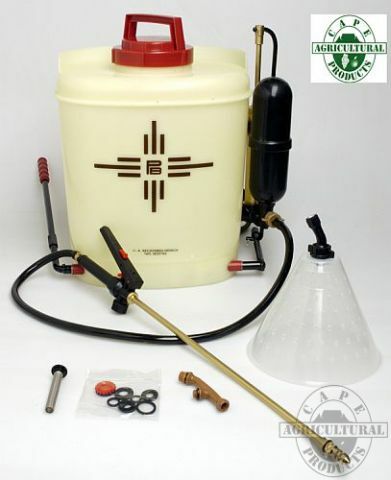 Cape Agricultural Products supplies different types of spraying to satisfy your needs for spraying herbicides and insecticides, or for fighting fires. This 2Lt sprayer is very handy for use in nurseries, greenhouses, propagation tunnels and also for spraying poisons when doing alien clearing. 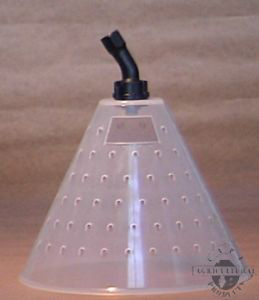 The body is made from heavy duty plastic and the nozzle can be adjusted to give spray patterns ranging from fine to coarse. 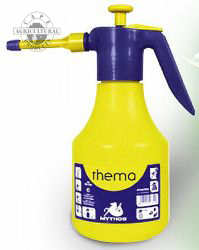 This 5Lt sprayer, made in Italy, is also ideal for use in nurseries, greenhouses, propagation tunnels, parks and gardens. 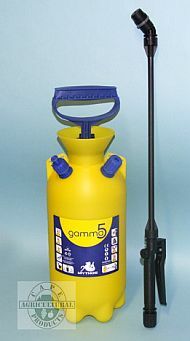 Flexible, plastic lance, as well as an extension lance that extends the lance to 80cm for spraying at height. Elbow for end of lance so spray nozzle points downwards. Adjustable shoulder strap, 130 x 3cm. Wide filler opening - 10cm. 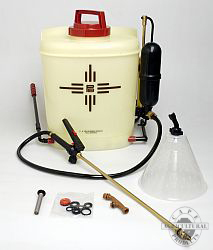 Filter in trigger as well as filler opening. Safety valve and pressure indicator. Maximum capacity = 5Lt, optimal capacity = 4Lt. 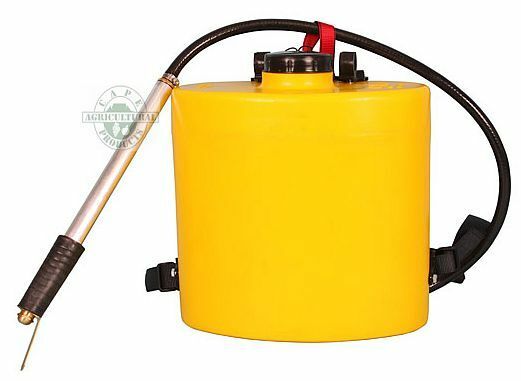 This spraycan is used when fighting fires. 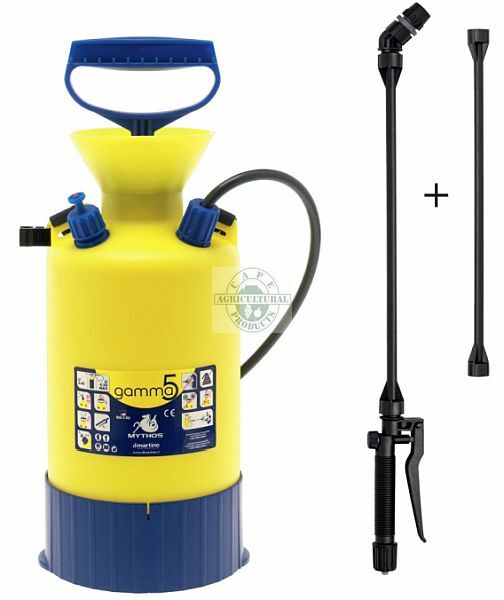 A very heavy duty plastic can that is equipped with a double action hand pump to ensure the continuous flow of water when fighting fires.